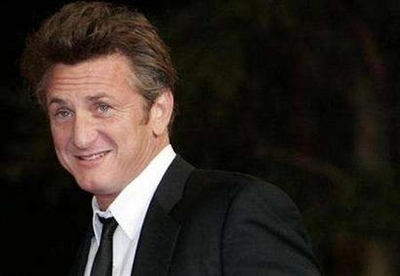 Sean Penn earned a nomination Tuesday as best filmmaker from the Directors Guild of America for his tragic road tale "Into the Wild," along with Joel and Ethan Coen for their bloody crime saga "No Country for Old Men." Maybe I should become a film critic? I better start eating more. I don't agree with him on everything but "Into The Wild" was a fantastic film that everyone should see. Joel & Ethan? I'd be their caddy. I love everything they do. My secret love is cinema. My mom was an actress. 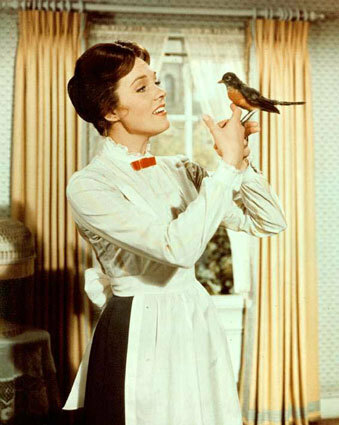 And...the first crush I ever had was on Mary Poppins. My big sister took me to see it 5 times the year it came out. I was probably 4 years old—but I still remember. As the music biz collapses amidst the sensory overload of the looming new digital world—I am even more firmly convinced that the ultimate tool for delivering a deep message still remains that wonderful collision of sight and sound. When I was a young man wandering the streets of Paris during my college years, I indulged in the glorious escape of Parisian theatres. Something about seeing films in that town is magical. It definitely made an indelible impression on me. And though I’ve spent my life in music—my secret underwater life is that of a screenwriter. Yes—I write film scripts. It is one of my favorite leisure pursuits. But don’t ask me to post them. I think screenplays are the hardest type of writing and I’m hesitant to claim I’m good at it—yet. Lucky for me, two of favorites released films this year. I'd love to know yours.